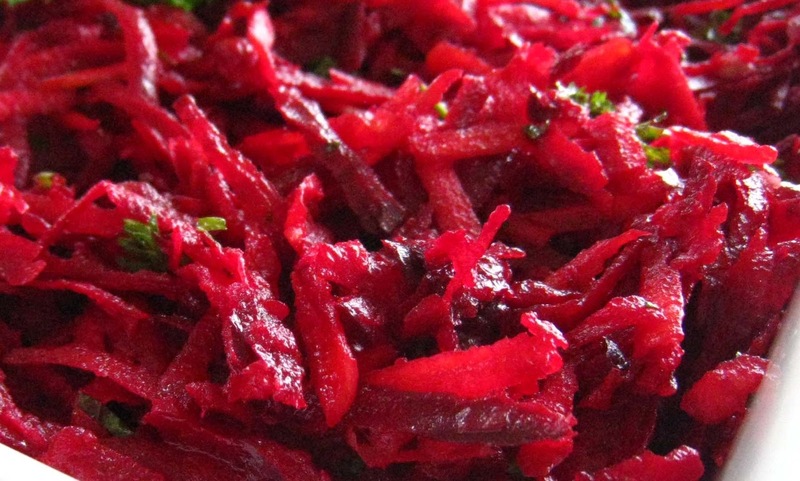 Beetroot salad is very healthy and you can prepare it once and save it for 2 weeks. A quick meal with some roasted chicken leftovers and a beetroot salad is perfect and easy to prepare. Beetroot is high in vitamin C, low in carbohydrates and calories, it is perfect if you want to loose weight. A raw beetroot can be sliced and mixed with lemo juice, parsley, olive oil and I add ginger like a spoon of sliced ginger to 300-400g beetroot. Please note, beetroot salad is well known to fight cancer, it is a good meal for a cancer patient. Enjoy the beetroot salad for a quick meal!